Abigail Sinclair is an experienced web designer located in Liverpool, who designs and builds custom responsive WordPress themes for businesses across the UK. Sally Cowman is a medicine woman and priestess-in-training who helps women heal themselves using nature, meditation, movement and ceremony. 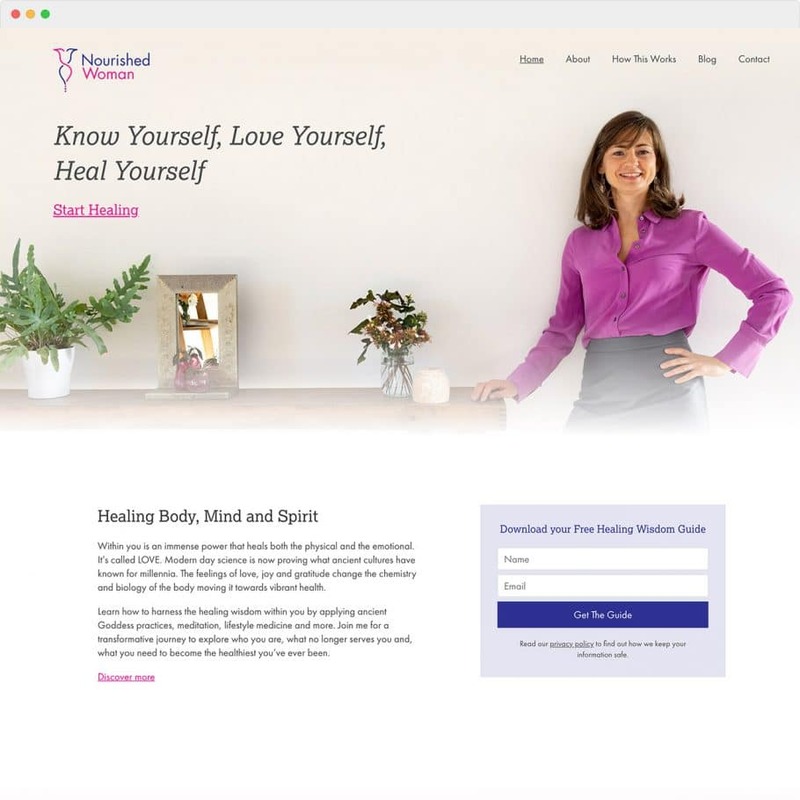 When Sally made the change from nutritional therapy to Goddess healing, her existing website no longer worked for her business. Sally approached me to help her create a new site which was better suited to the new direction she was taking. The website I designed and built for Nourished Woman uses the WordPress platform to allow for blog posts and an online shop. 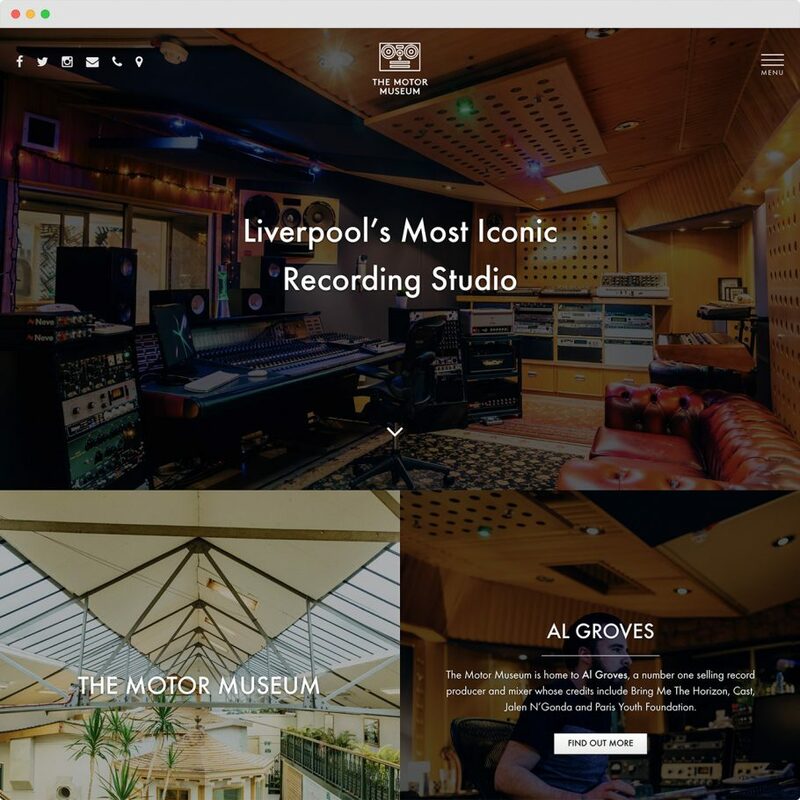 The Motor Museum is a recording studio run by producer Al Groves which is located off Liverpool’s Lark Lane. I worked closely with Al to design something which matched the vision he has for his site, showcasing the iconic studio and its beautiful interior. The site is built with WordPress which allows Al to change all of the content himself and have control over the layout of pages in a simple user friendly way. This company is an organisation dedicated to supporting and developing young athletes across the UK. The training they hope to provide for young athletes is world-class and the website needed to reflect the quality of their programmes. In 2017 I create custom WordPress theme for the company, utilising custom fields which allowed the team to update the site on a regular basis. The site was also integrated with Woocommerce, which provided the functionality for selling merchandise on the site. Note: This is a design I created for a company who have since moved on to work with another developer, so the company name and logo have been altered. Tiverton Pannier Market is located in the centre of the historic town of Tiverton. 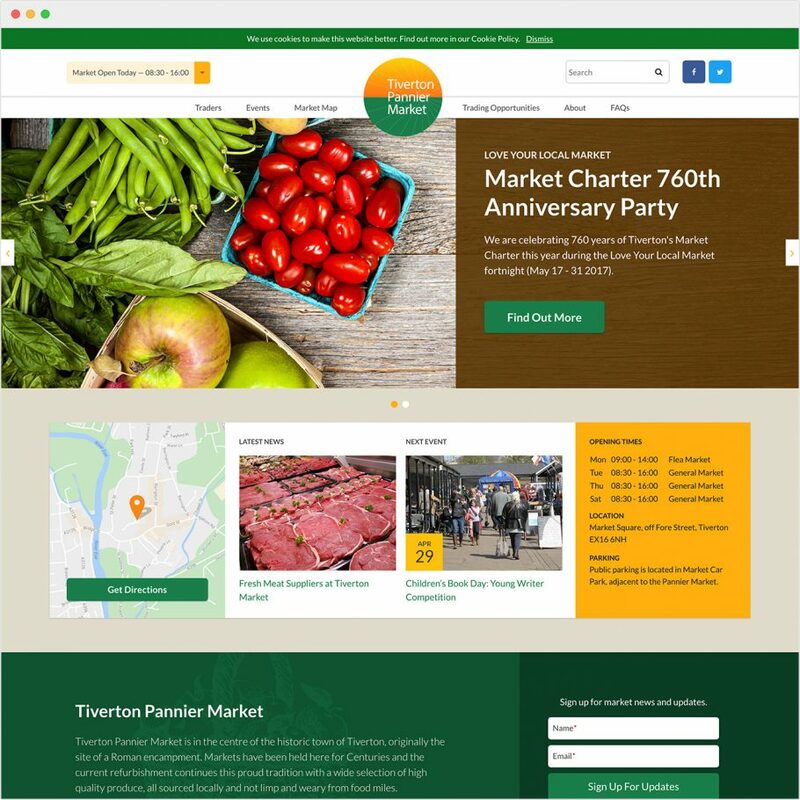 As part of ongoing efforts to improve trade at the market, Mid Devon District Council wanted a new website to provide more comprehensive information on market traders and events. For this project I was approached by Jumoo who have worked with the council previously on their Umbraco system. I designed the front-end of the website and provided some basic HTML code, which was then developed into a fully integrated Umbraco site by Jumoo. 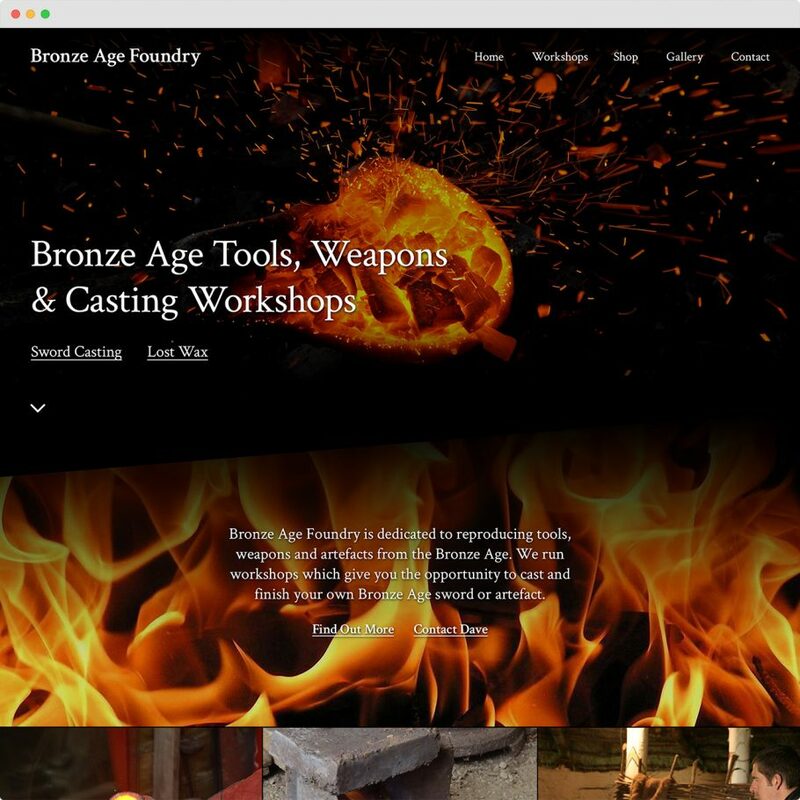 Bronze Age Foundry is owned by sculptor and artist Dave W Chapman, who runs workshops in Wales where you can learn to cast your very own bronze sword. Dave’s previous website was a few years old and needed a complete redesign, while still keeping a similar look and feel to match his brand. 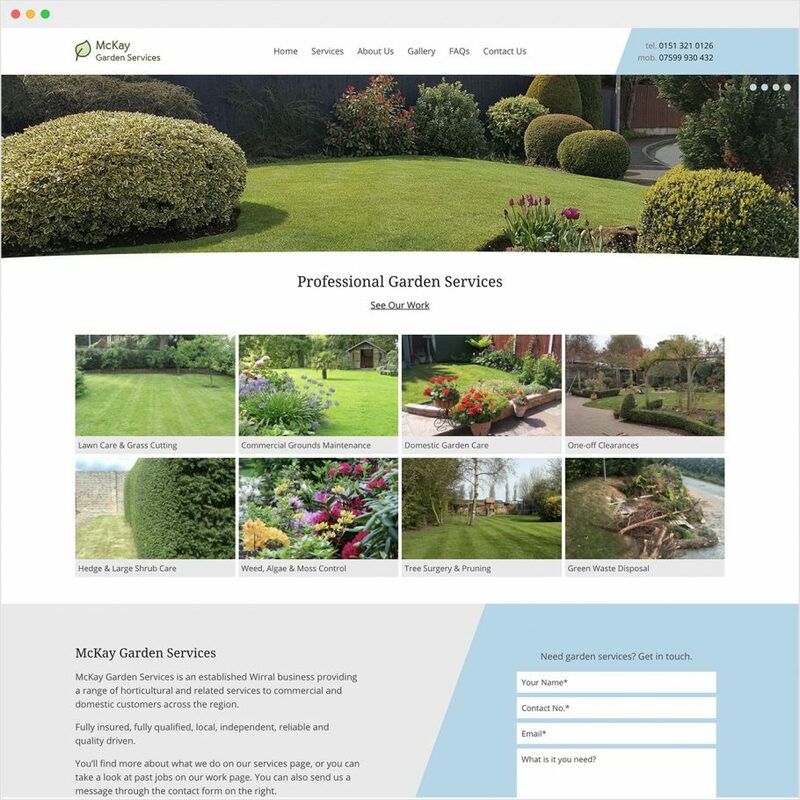 McKay Gardens are a small company offering garden services to customers across the Wirral. They approached me for the design and development of a simple WordPress website which would allow them to showcase the services they offer and some previous work. 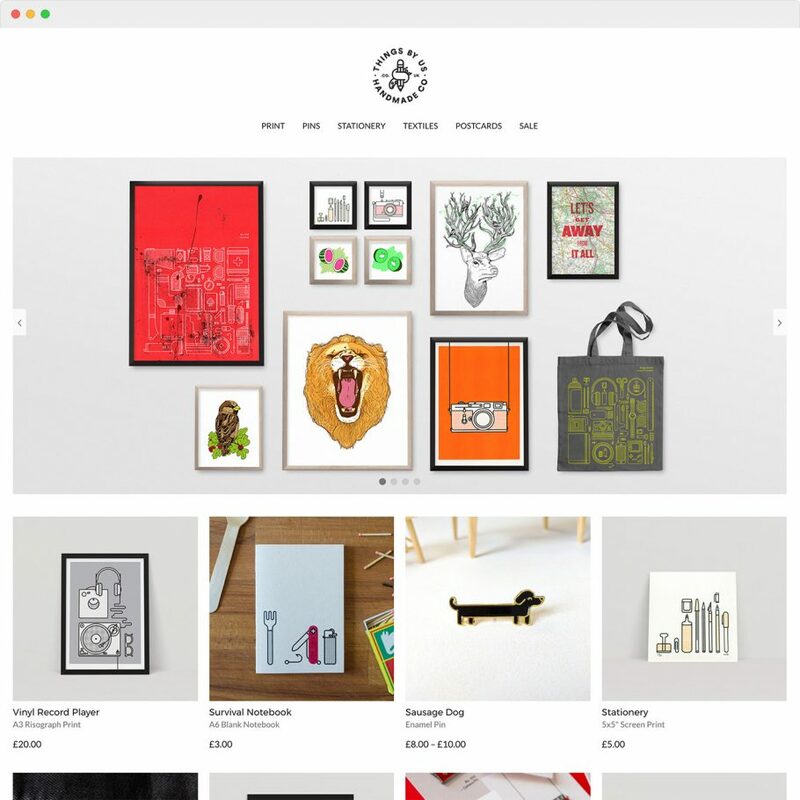 Things by us is my own personal online shop which I run with my partner. The site makes the products which we sell at print and craft fairs available to people who live much further away. The website is purposely designed to be minimal to allow the products to stand out on their own and make it easy for customers to place orders. Built on WordPress, the Things by us website uses Woocommerce and custom fields for product data so that both of us can edit products without needing to know code. Tutti Tutti is a small women’s fashion boutique based in Liverpool. When I built their website they were just starting out as a new brand and wanted somewhere to sell their items online. The website is built on WordPress using Woocommerce to run the store functions of the website. Liverpool Print Fair is an event run by The Print Social which showcases people who choose to use hands-on print methods such as screen printing. On this project I worked with graphic designer Mark Adamson to build a WordPress theme based on his design and branding. The site features custom fields to allow any of The Print Social team to update the website with new sellers. I also built in functionality for allowing people to apply for spaces at the fair using custom forms. 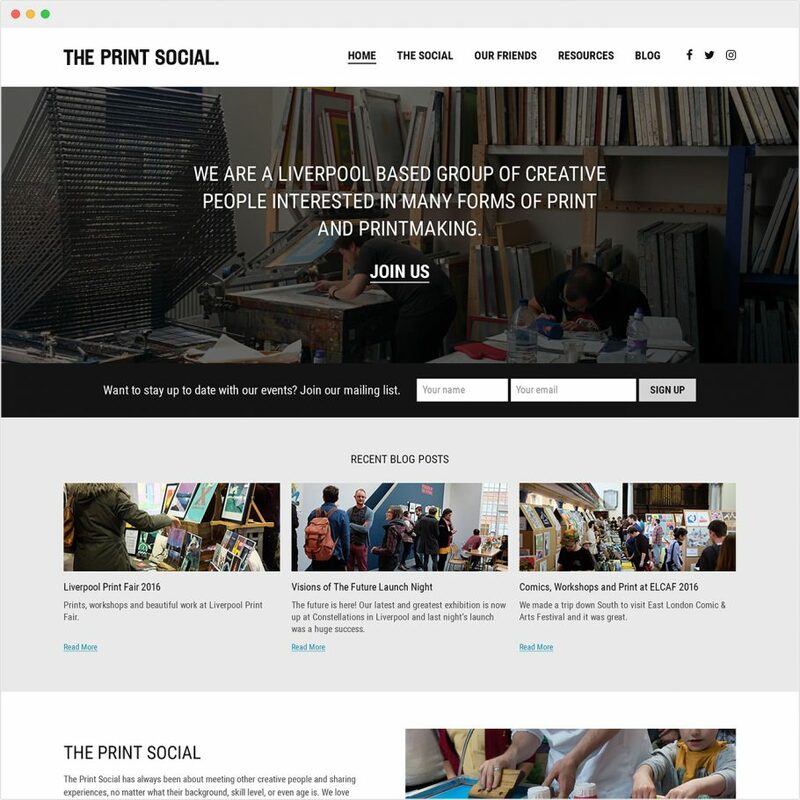 The Print Social is a Liverpool based group of creative people who meet regularly to organise events and grow the Liverpool creative community. Over the past few years The Print Social website has grown and evolved from a simple blog on the WordPress platform. 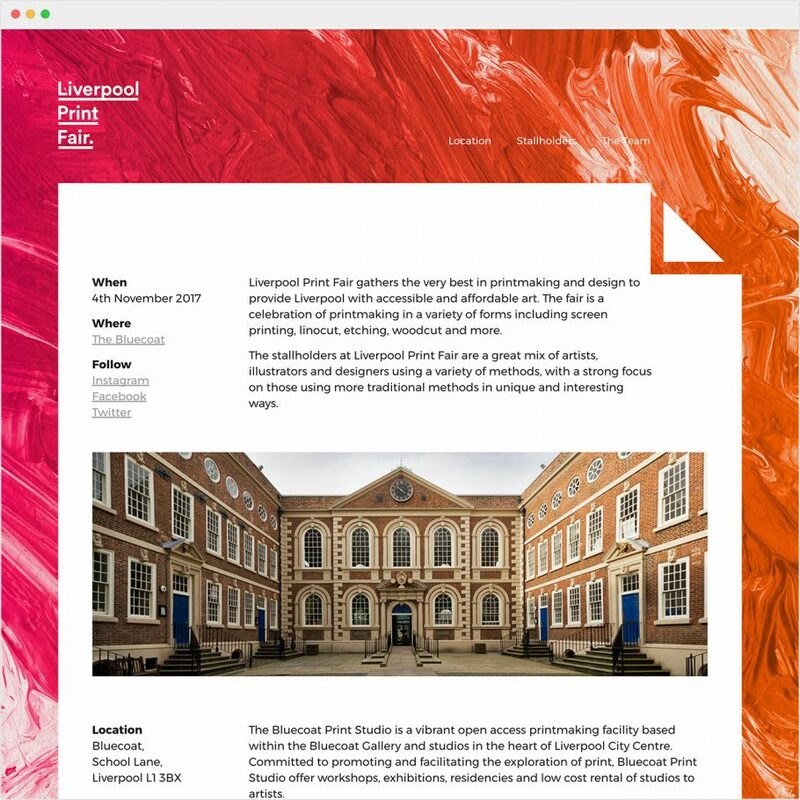 The latest design is still in development and will encompass more about the events run by the group such as the Liverpool Print Fair. In 2015 I took part in the monthly Net magazine design challenge which was printed in early 2016. 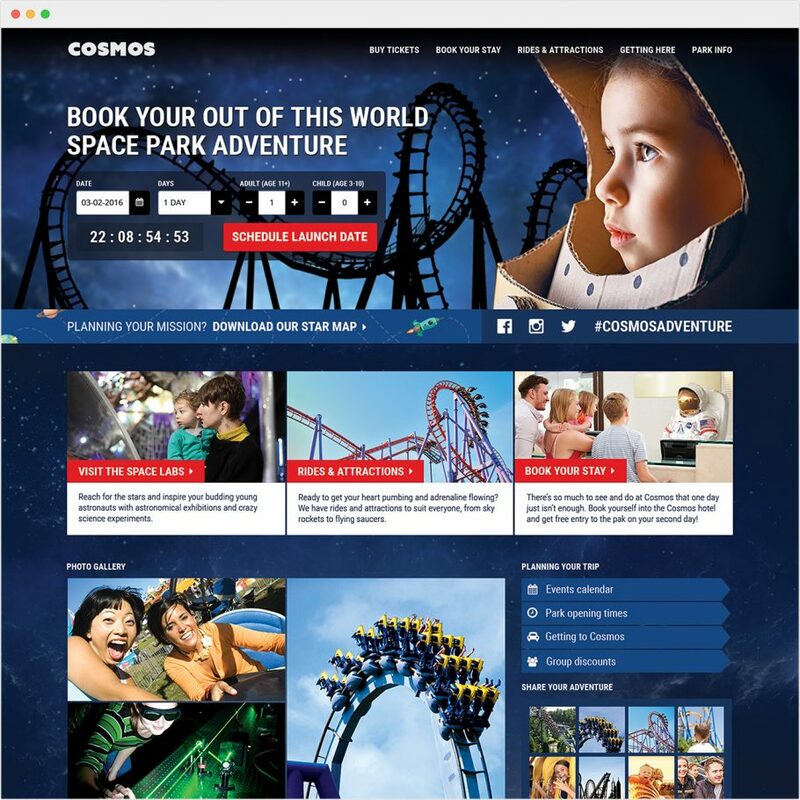 The challenge was to design a website for a fictional theme park, which led to the concept of the Cosmos theme park. The hardest part of the challenge was actually designing a website without any kind of input from an existing client. Not only did I have to come up with the website design, I also had to invent a theme park from scratch along with branding and USPs. It was tough but I settled for something I imagined I would have been excited for as a child and something which would educate as well as entertain. Chester Charity Beer Festival is an event held annually in Chester to raise money for charities such as Claire House and MS Society. For this project I worked with graphic designer Neil Martin who has been working with the festival for a number of years on the branding and design elements. Neil had redesigned the website for this year to bring it more up to date and make sure that mobile users could access the content mre easily. 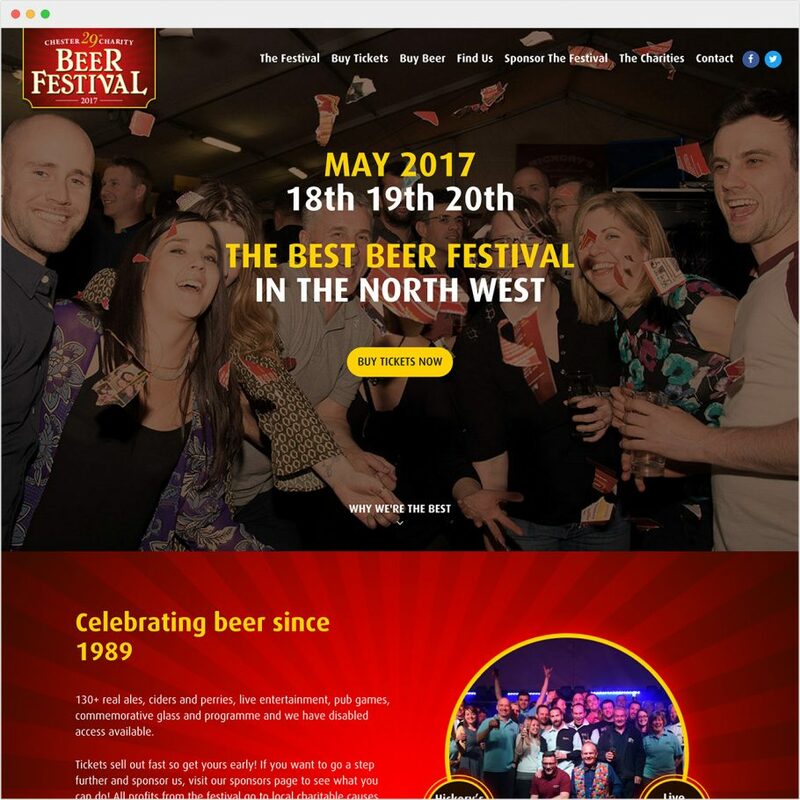 The website was built for longevity using custom fields which allow the festival team to easily update the content for future beer festival events. This website uses a custom WordPress theme based on Storefront by WooCommerce. The design is clean and minimal, enabling customers to find the products they need without getting distracted by design elements. 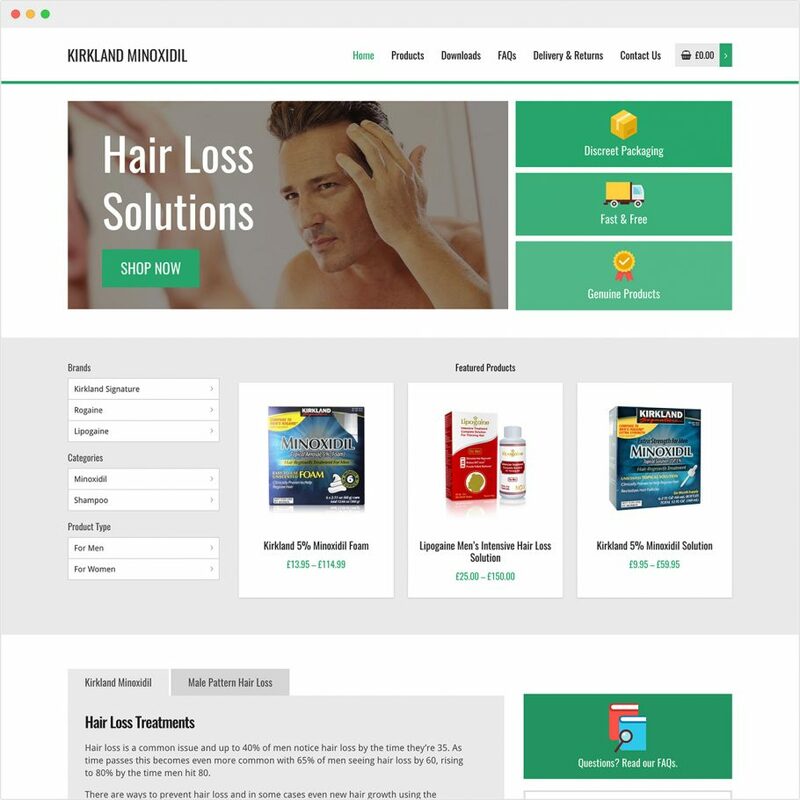 As Minoxidil is a product designed for hair loss which can be a uncomfortable topic, photographic imagery was kept to a minimum and instead benefits and USPs are highlighted with simple icons. 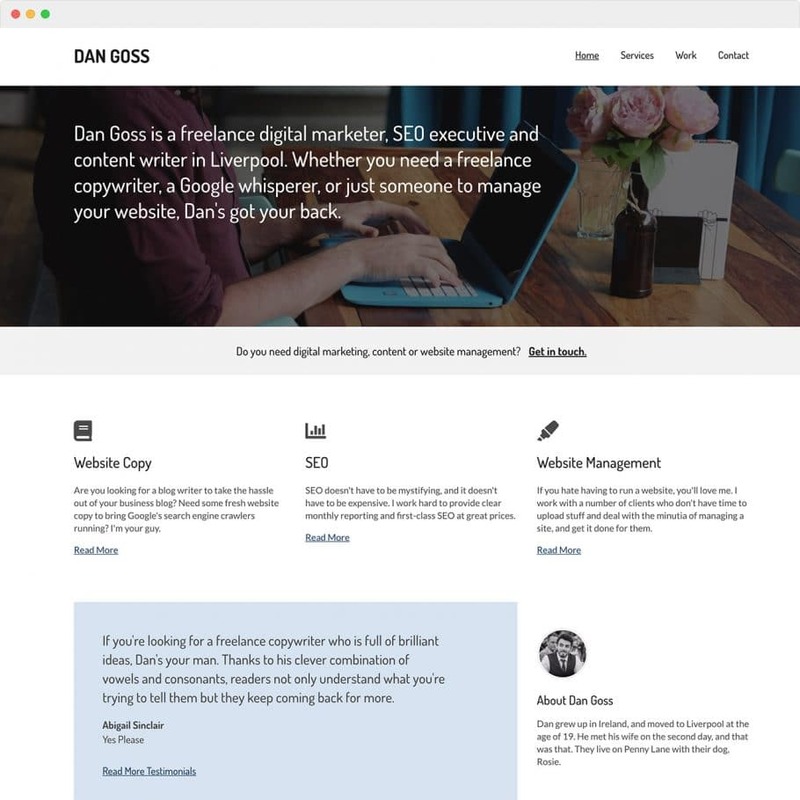 Dan Goss is a copywriter who recently decided to go freelance and needed a new website to showcase his work to potential clients. Much like the design I did for Dan Sarath, it needed to be clean and simple to showcase his writing skills rather than distracting anyone with unnecessary images and graphics. The website is built on WordPress and will allow Dan to create his own content and optimise the site for search engines. Whether you need a brand new design or just a few tweaks to your existing website, I can help you create something special. It’s important that your website works well for your business, which is why each website I design is made with usability and ROI in mind. Not only do my designs look good, but they work well to help convert your audience into paying customers. WordPress is my content management system of choice, which enables you to take control of your content and make the changes you need. The majority of the sites I build run on WordPress, which enables you to take control of your website content and continue to keep the site updated long after the my work is complete. Although the initial investment is larger for a content managed website, the control you gain in the long run is invaluable. Training on the WordPress system also comes as standard for each project. Every website needs to be built with multiple devices in mind in order to keep your information accessible to your target audience. 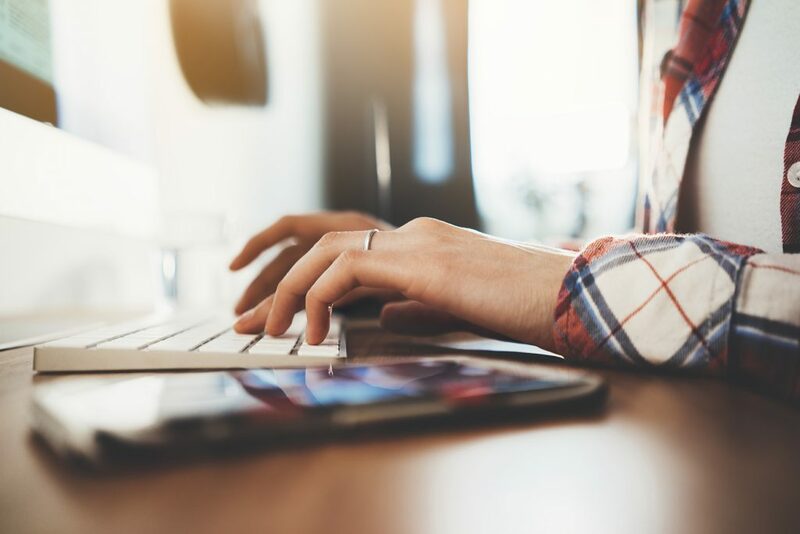 If your website doesn’t work on mobile and tablet devices, you’re guaranteed to be losing potential customers the minute they visit your homepage. Every website needs to be built with multiple devices in mind in order to keep your information accessible to your target audience, whether they’re looking you up on the go or browsing casually using their iPad at home. While I’m no expert in SEO, I build every website to be ready for your SEO team to start their work and get your website to the top of Google. My experience working with a team of SEO experts over the past few years has provided me with the skills to give your website the best chance of being picked up by search engines on launch. While I’m no expert in SEO, I build every website to be ready for your SEO team to start their work. If you don’t have anyone working on SEO for you, I can also recommend some excellent people for that. 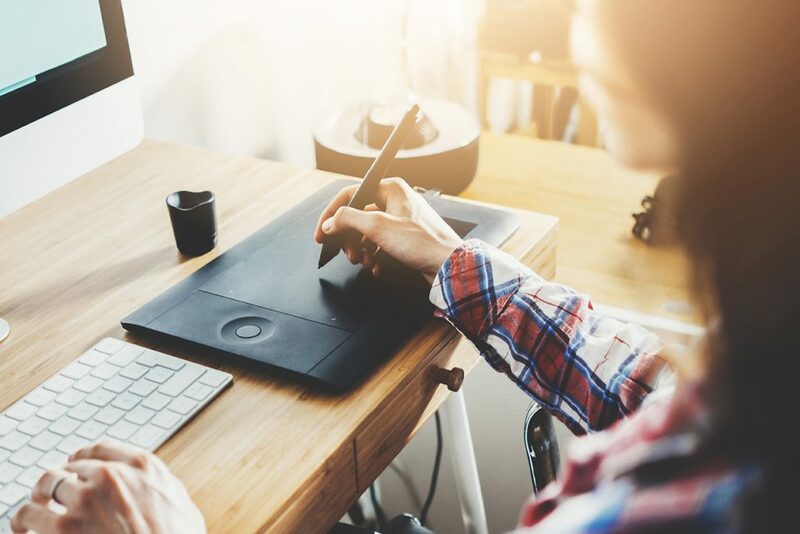 There are many benefits to hiring a freelance web designer over a larger studio, with lower rates being one of those benefits. When you work with a freelancer you also know exactly who will be working on the project with you from start to finish. When you work with a large studio, some of the people associated with your project do very little to contribute to the actual website design or development. If you’re not happy paying for a salesperson, account manager, admin clerk, and a web designer then you should probably stick with working with a freelancer. I worked for a web design studio in Liverpool for seven years before deciding to go freelance. Although there were a number of people on the design team, very few projects involved utilised more than one of those. If you work with a freelancer you remove the need for any middle man or admin staff, which in turn will streamline the design process and website development. Another thing to consider when looking for someone to work with is how your website gets prioritised. While big web design agencies are quite impressive on the outside, the success of the website comes down to the quality of the designer who is assigned to work with you. Every web design agency has a team made up of junior to senior level designers, which means your website could be made by someone with only a few months experience. When you work with a freelancer such as myself, you know exactly what the skill level of your web designer is just by looking at their portfolio. There’s also no risk in being assigned to a junior designer. I have been designing and developing websites for over ten years now, seven of which were spent in an agency as the lead web designer. Every project I take on gets my full attention until the job is done and I won’t take on work which is beyond my capabilities. If you’d like to work with me, please get in touch and we’ll go from there!